What do I need to go #deskless? The simple answer - Chairs. I already had chairs and tables, so when in the middle of the day I ditched the tables, all we did was move them around the perimeter of the room. Since then I have slowly been pawning off my tables, so I only have a few left around the edges. Some people think they need to invest in tons of flexible seating options to ditch the desks, while I have a few, it is not a requirement. Just ask your custodians and admin if they have a class set of chairs somewhere in storage, because they probably do. How is your room set up? The arrangement we have liked the best is a large semi circle of chairs. At first some students joked it was like being at a therapy group, but in reality it has been a great way to create a sense of community and inclusion of everyone. I know some teachers have students trained to put away chairs at the end of each class, and have arrangements of chairs for the students to set up as they enter, like the awesome Grant Boulanger. My chairs do not stack, so we usually stay with the main arrangement and then shift as needed during class. What about all their stuff? When students enter the room, all of their stuff goes on the back tables or around the edge of the room. What they need for that moment is posted when they enter. Usually all they need is their class novel, Chromebook, or pencil and clipboard. 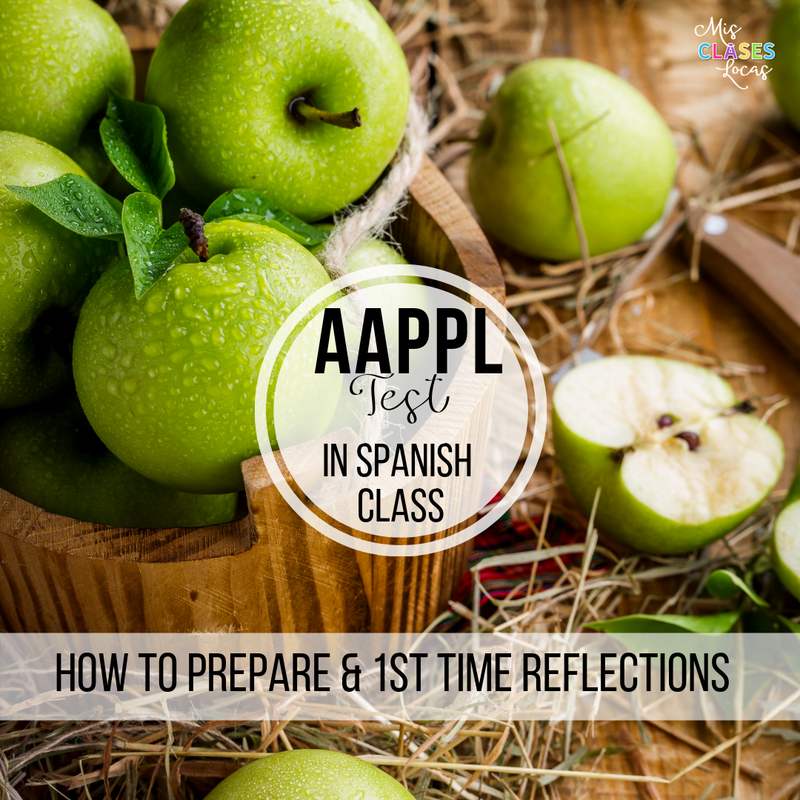 This transition was the hardest for my Spanish 4, who really wanted their security backpack full of contraband snacks to sneak, cell phone, and other distractions. One of the reason deskless has gone so well is that they do not have a pile of stuff to hide their cell phone behind. There are no distractions, so students are forced to pay attention to the Spanish input and engage. I have a set of cheap clipboards in a large basket by my door. If students need them right away, it is posted to pick one up on the way in. I have started to be much more strategic about my use of writing, and need to plan for when it is really needed. For example, if writing will not happen right after the bell ringer, I do not have students write their answer. Why? It is a waste of time and a distraction to write a sentence down. We also have a class set of whiteboards, which may be used instead for quick answers and group games. Usually my class is structured with input or discussion right away in our semi circle of chairs, then when it is time for the students to work either individually or in groups, they can pick where they would like to sit and work. Students sit on or under the tables, on the chairs with clipboards, pull up a chair to a table, lay on the floor, or wherever they work best. The same goes for a writing assessment. Students spread out and find a surface to write on. What about our 1:1 device? We are 1:1 with Chromebooks. They are called "lap"tops for a reason :) Just like writing, usually if students are completing a task with their Chromebooks, they have freedom in their seating. If we are doing a game like Kahoot or Quizlet Live, the students put them on their laps and I have not heard complaints. Almost all of my classes have the freedom to sit wherever they would like. Of course I needed a creative solution for "that class." I used little colored stickers to number the back of each chair. The odds are one color and the evens another. Usually in that class girls sit in one color and boys in another making them every other seat (because really I just needed to separate the boys:). If really needed, students could be assigned to a number, but we never needed to get to that. At the end of class, students are supposed to make sure the chairs are back in order if they have been moved. If I do not like who is sitting by each other, we might play a little "fruit salad" to mix it up. In Spanish I will say "stand up if you are wearing red" and everyone up has to switch chairs with each other. I will do a could rounds of "stand up if..." until everyone is adequately mixed up. It works as a good brain break as well to get them moving in the middle of class. What about our textbook, workbook and binder? To be honest, deskless is not going to be the best option if you are doing textbook activities everyday. I have created my curriculum around novels, and this discussion circle set up leads itself perfectly to the comprehensible input style of teaching. If you are tied to using a book, I would keep some tables for book activities as needed. 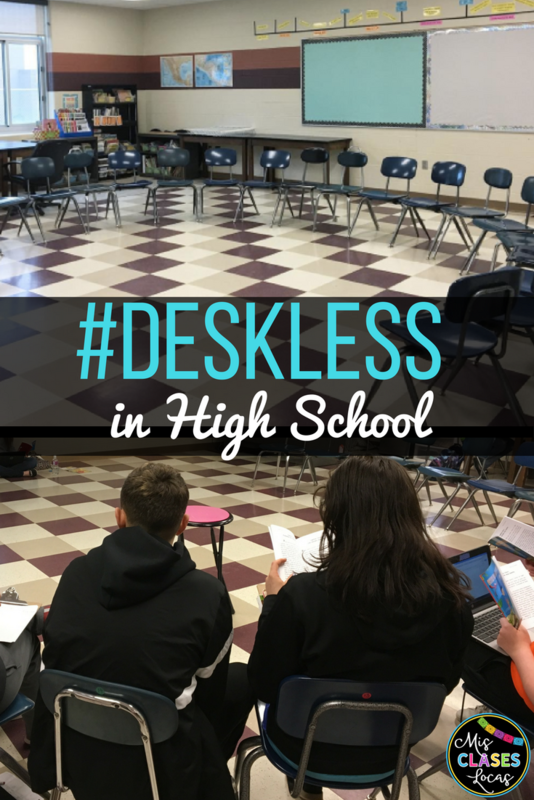 What kinds of activities can you do without desks? We can do anything! I love how having so much more space naturally calls for more movement in class. Check out this post for ideas. 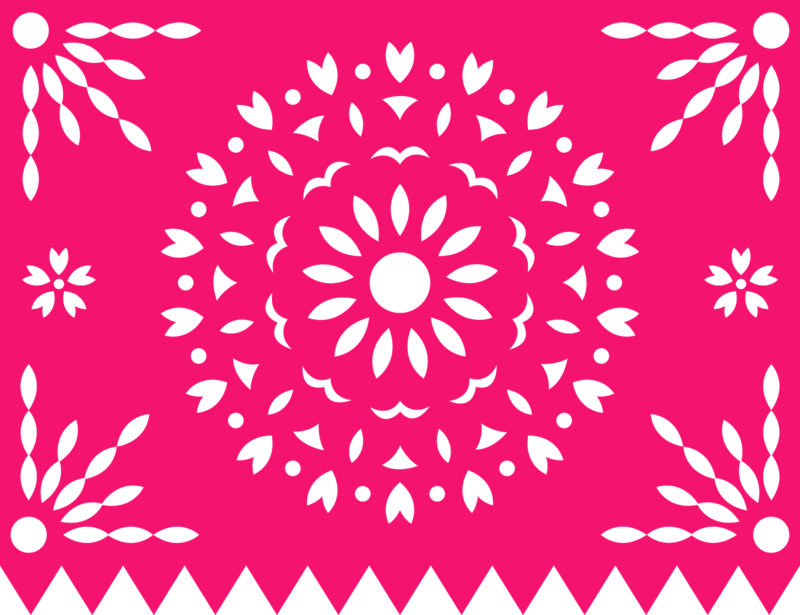 The chairs can easily be moved into small groups for conversation circles, in two straight lines for the marker game, into seperate groups for reading clubs, or have a huge dance floor for baile viernes. What does the admin and school think? I am more of a beg for forgiveness rather than ask for permission kind of teacher, so I may have got rid of table without saying anything to my principal. Well, it paid off because in my end of year evaluation I was praised for my "risk taking" and getting rid of desks. By the end of the year the English and Science teachers in my hall also went deskless after seeing the success I was having. I know not all schools are this encouraging, but usually if others see success in regards to student learning, they are supportive of the means to get there. What if I have more questions about going deskless? 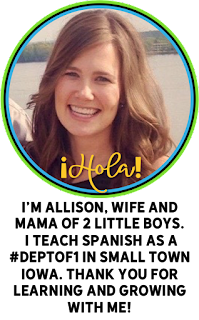 If you have more questions, feel free to ask me, or better yet ask a ton of awesome deskless teachers in the TPRS Deskless Classroom Facebook Group. There you will find teachers of a variety of languages and classroom situations who probably have a much better answer than me. You can also see pictures of many different rooms to give you ideas of how to set yours up. I ditched The desks 5 years ago and LOVE it every day. I've written about our classes at www.deskfree.wordpress.com if people want to know more about classes like this. Great post! My district requires a ton of writing. How do you combat this? I went deskless when I taught middle school and want to go back to it, but if my poor kiddos have to do a ton of writing, I'm not sure it's worth it. I teach kindergarten through fifth grade in a Special Area setting; this means I see my classes on an eight day rotation. The lower grades do some coloring, some cutting and pasting activities...how would you handle it in a deskless classroom? I think elementary students more than anyone is perfect for deskless!